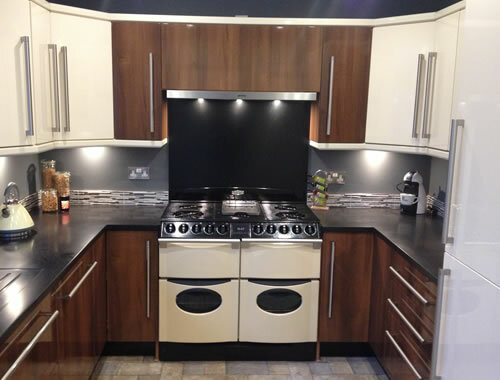 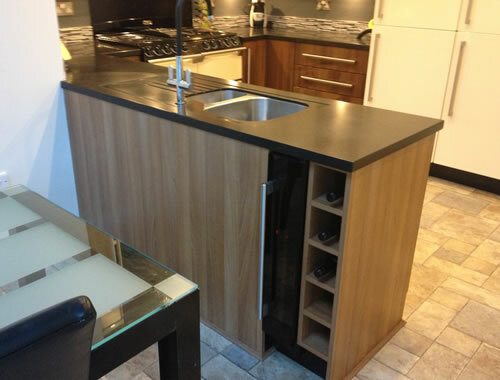 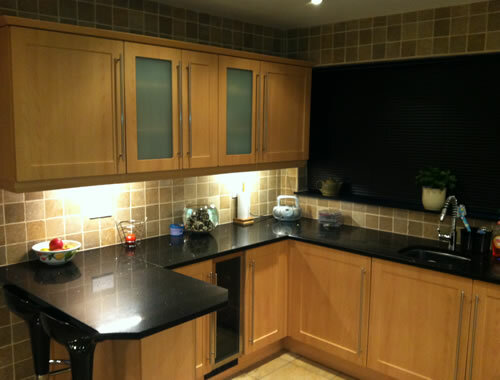 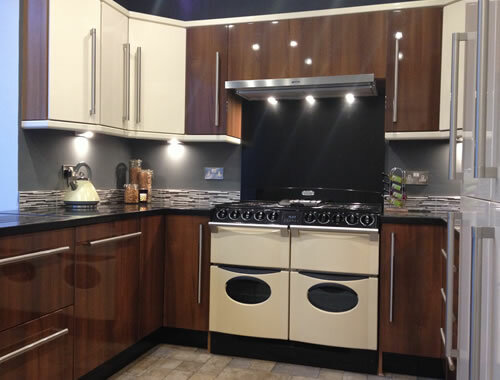 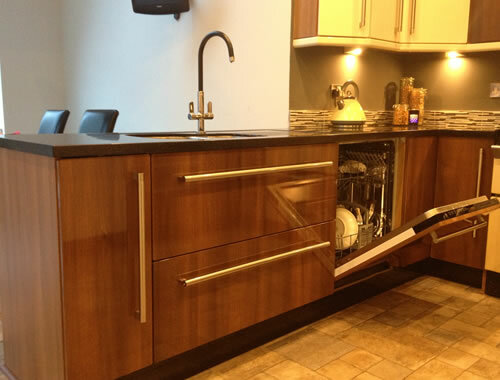 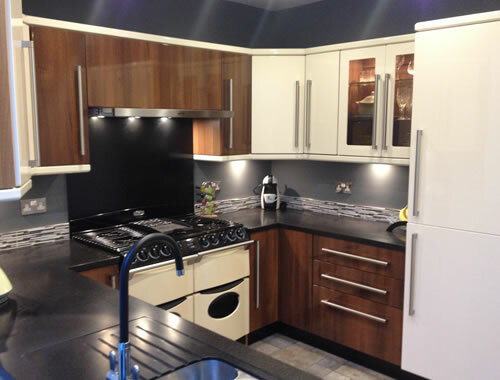 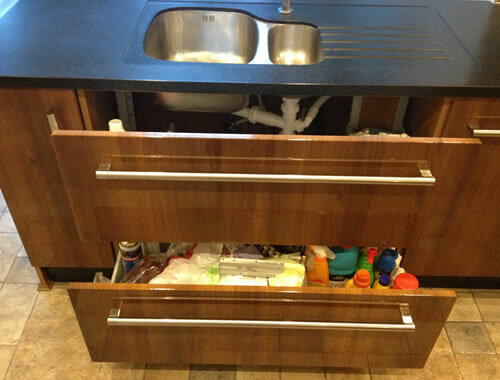 Walnut high gloss kitchen with contrasting cream gloss doors and contemporary bar handles. 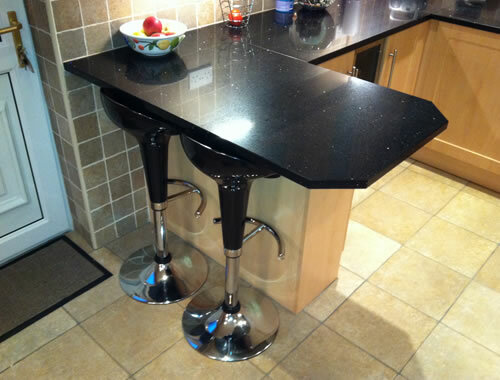 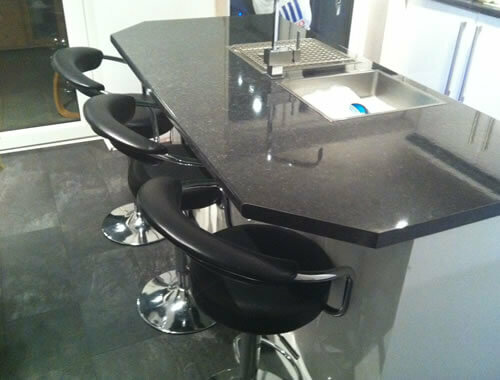 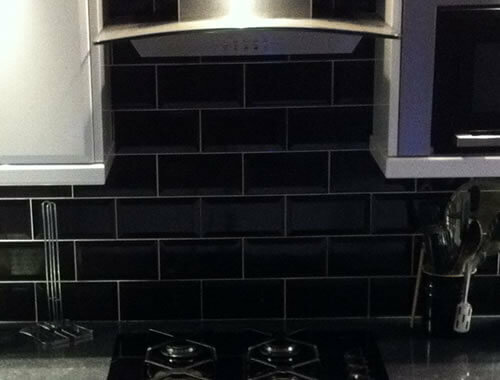 The black Smartstone worktops have seamless joints for an exceptional finish. 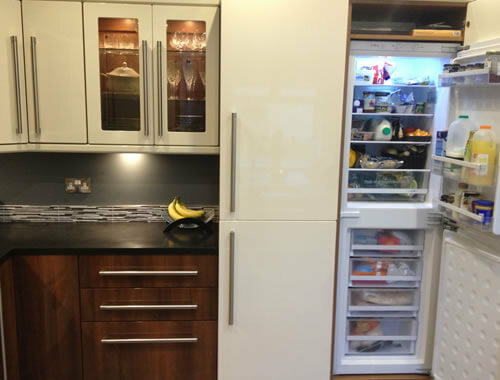 This kitchen has a Rangemaster cooker and integrated fridge freezer, slimline dishwasher, wine cooler and under sink storage drawers. 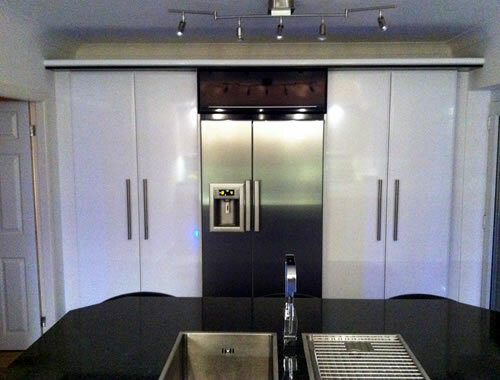 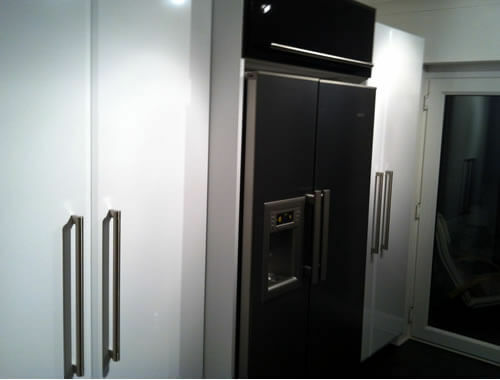 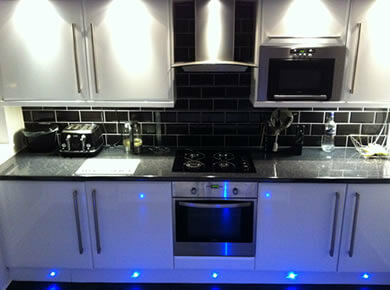 Modern white high gloss kitchen with black high gloss worktops. 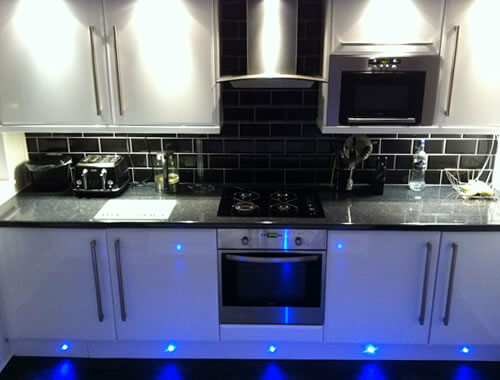 This kitchen incorporates an American fridge freezer, breakfast bar island with stylish sink and taps, led plinth lights and black brick tiles for a stunning look. 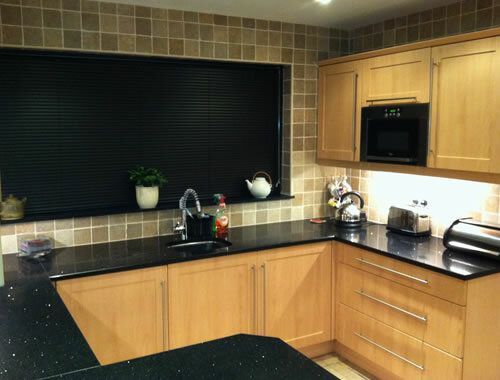 Beech recess shaker kitchen with black ebony reflection granite worktops. 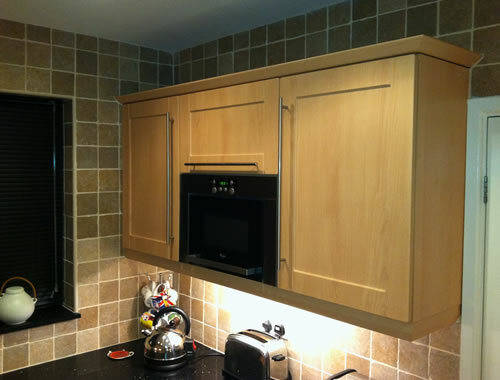 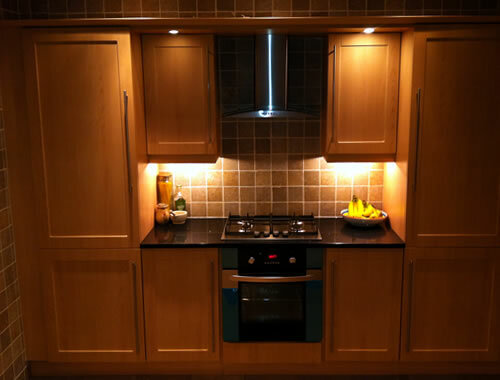 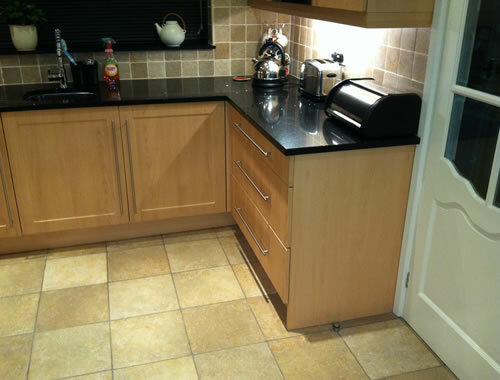 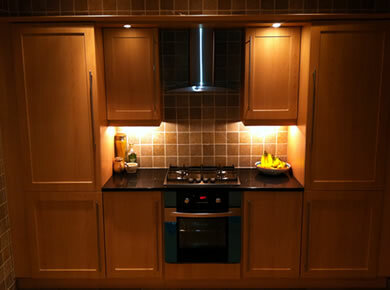 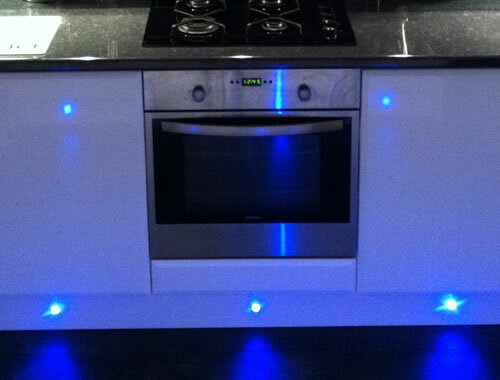 The kitchen has an integrated microwave, larder fridge and freezer plus a stylish breakfast bar.